Winter is the season of greens and with that you can also see the fresh green chickpeas abundantly available. As a child and even today I love opening it from it’s pod and eating them raw as well as roasting them too. I also enjoy eating the saag made with it’s leaves which I will try to post sometime. As a child, I remember carrying a small bunch in my hand and then eating it sitting on a dari in the courtyard while I drenched myself in some sunlight. Now a days the peeled fresh green chickpeas are available easily in the super marts, surely making our lives easier in the times of hurry. I had a pack of this with me which I wanted to use in an innovative and tasty way, so I thought of making a biryani. The end result I must say tasted really good and with a combination of mixed veg raita is an excellent one pot meal. I had skipped my breakfast so after I finished clicking the pics I savoured myself with a plate of biryani and a bowl of raita and simply relished my wholesome meal . The green chickpeas had imbibed all the flavours properly and the rice was rightly aromatic just giving the perfect kick to the taste buds. The biryani rice is quite aromatic and the aroma comes by adding whole spices while cooking the rice. Soak about 2 cups of basmati rice in water. Boil about 7 cups of water, to this add oil, lemon juice, whole spices and then add the soaked rice into it and cook till almost done (the rice grains must have a bite). Cooking in excess water allows the grain to be separate, drain the rice and pour some cold water on it to stop it’s cooking. While making the curry for the biryani one must make it more spicy than the normal as it has to provide flavour to the rice too. Heat a mix of oil and ghee and add the bay leaves followed by ginger garlic paste and saute. Now add the chopped onions and saute them till light brown in colour, tip in the tomatoes now and cook till mushy. Add the spices and salt now followed by the garam masala. Lower the flame of the gas and the yogurt stirring continuously so that it does not curdle. At the end the curry should have a semi gravy consistency. Spread a layer of rice followed by the curry, sprinkle some fried onions, about 2 tsp of saffron flavoured milk, few chopped mint leaves and a teaspoon of ghee. Repeat this layering process again with rice and curry till the top of the container. Seal the container and cook in a microwave at 100% power for 7-8 minutes and then let it rest for another 7 minutes before serving. Serve hot garnished with fried onions and mint with a bowl of mixed veg raita. Sending this to MLLA-32nd Edition hosted by Sandhya and is the brainchild of Susan. colorfull treat for eyes pari..
am really craving for something yumm and spicy like this one..pl. send me some.. The biryani looks awesome..just the way it has 2 be..never made wid fresh chickpeas though I make with the regular chana...looks really mouth watering.. The biryani looks delicious. I love your photos too!! sowmya, would love to send it to u dear. Mina, I'm glad u liked the pics. 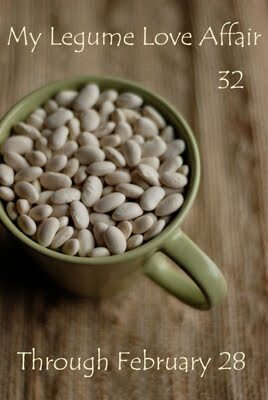 Prathy, the fresh legume gives a great flavour, do try it. Looks fabulous & absolutely delicious! Oh what a lovely biryani , i have never had or heard the saag from the leaves of peas , infact i dont even know what they look like! Wow stunning..looks absolutely delicious and seriously tempted to eat Biriyani now. I am so hungry looking at your rice! superb! Oh wat a healthy briyani looks stunning! Biryani looks super delicious.. So colorful and yummy.. Very inviting,delectable briyani, super delicious..
lovely and healthy and nutritious biryani. WOOO this biryani looks amazing!!! Lovely presentation,can't take my eyes off the Biryani !! Hi Pari..How r u doing..!!! Biryani looks awesome,super delicious,nice clicks. Biryani looks aromatic and super delicious Pari,about the garlic flavor in the tamarind dish its not strong since I added the whole cloves. Stunning colors n flavors Pari..loved the recipe !! wow...yum n delicious...simply amazing..my fav green chana ..use to munch on whole day back in india.. Very flavour full biriyani looks so inviting.long time since I didn't see Fresh green chick peas. looks like a rainbow platter- awesome clicks and am drooling here ! colourful and perfectly done briyani! Looks very nice,very new kind of briyani,lovely presentation! wow, that is such a mouth watering biriyani, love the color. Biryani looks awesome and tempting. very colorful. hey! stopped by after a long time--LOVED this recipe. I love the green chickpeas as well. Biryani is a wonderful way to use them! Stunning Clicks dear, Love this delicious and colorful biryani recipe. Will sure give a try.